Valentine’s is on its way! A day to spread lovely words and gestures. I love making crafts for Valentine’s Day and being thrifty while I do so. Most of us have someone special we would like to share something nice with or children who will be collecting valentines from their friends and admirers. Why spend a lot on something you literally will use for one day when you can make these adorable Homemade Valentine Card Bags for less that a dollar! I found all my materials at a local grocer as well as in their dollar section. 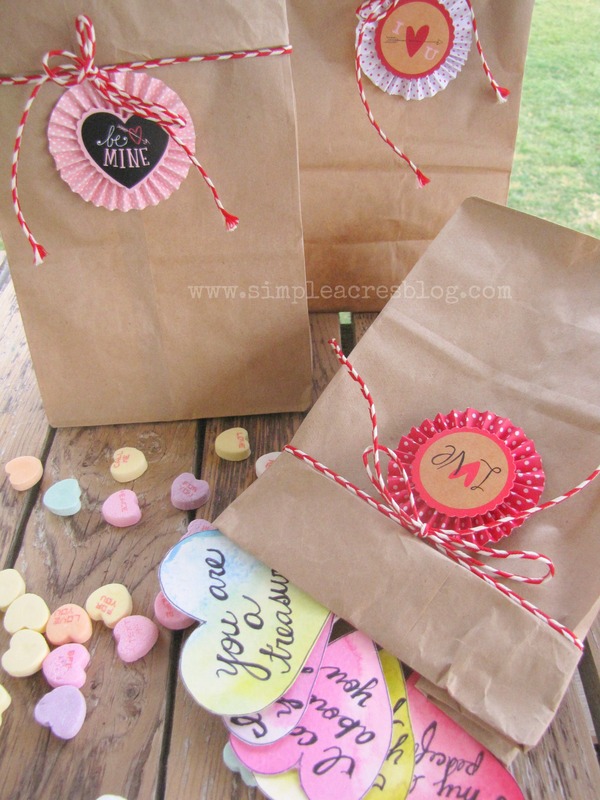 This simple craft will take you less than a few minutes for each Valentine Bag you make. I also had fun hand drawing and applying simple watercolors to hearts for little valentines my kids could give to each other in their Valentine’s Bags. For more inspiration on watercolor crafts and arts you can learn more from my behind the scenes basic watercolor introduction. 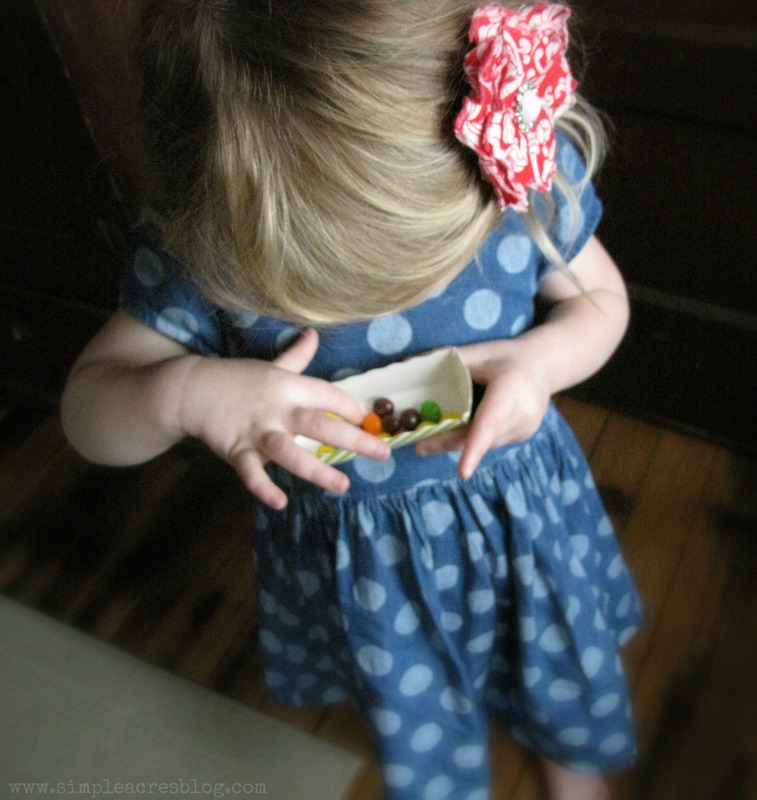 Simply fold the top of the brown lunch sacks down 2 to 3 times on the top with an inch fold. Attach your valentine sticker, homemade hearts or other chosen decor on the front. Cut your string to size, then tie it firmly around the cuff off the bag near the top creating a semi tight seal (yet loose enough to slide a valentine card into). That is it my friends! 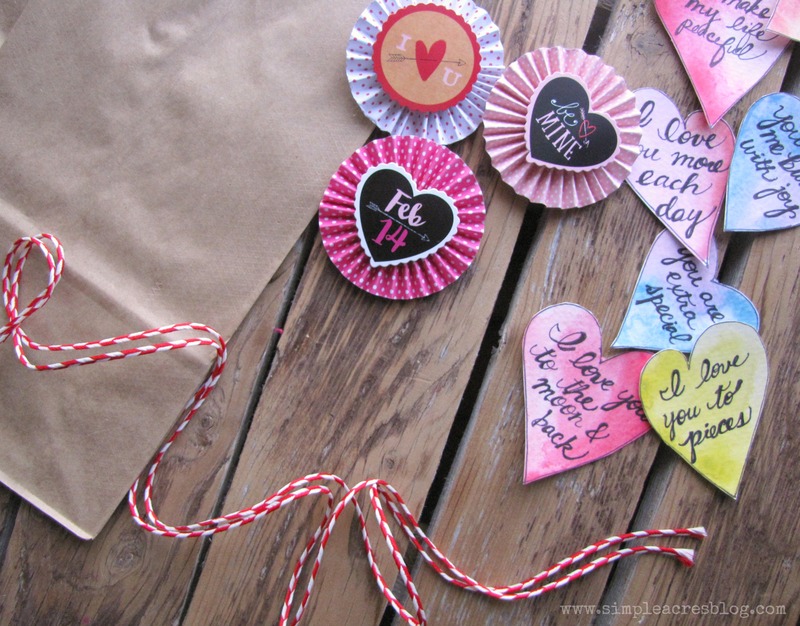 In 5 minutes or less you can make several Homemade Valentine Card Bags for less than a dollar each! 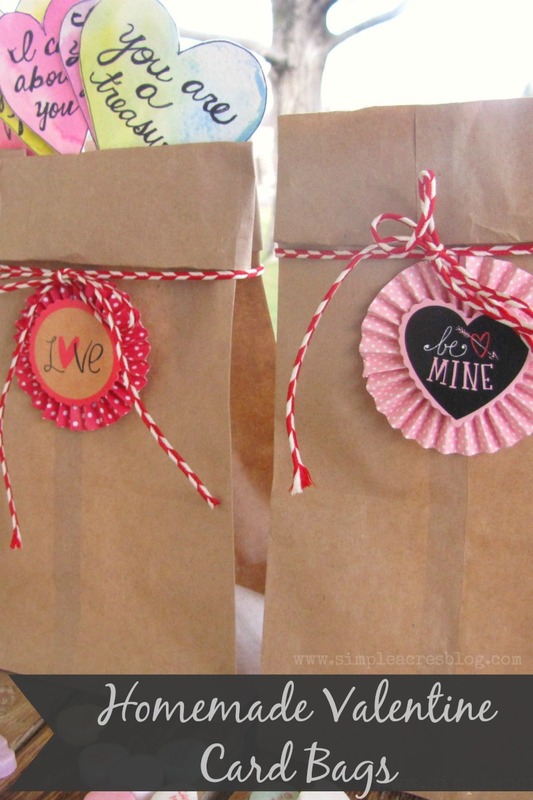 Whether you use these as gift bags or “mailboxes” for your kids next Valentine party, I am sure you will get complements on this simple and cute craft! What is also fun is that this craft is so simple your kids and even toddlers can make these as well. 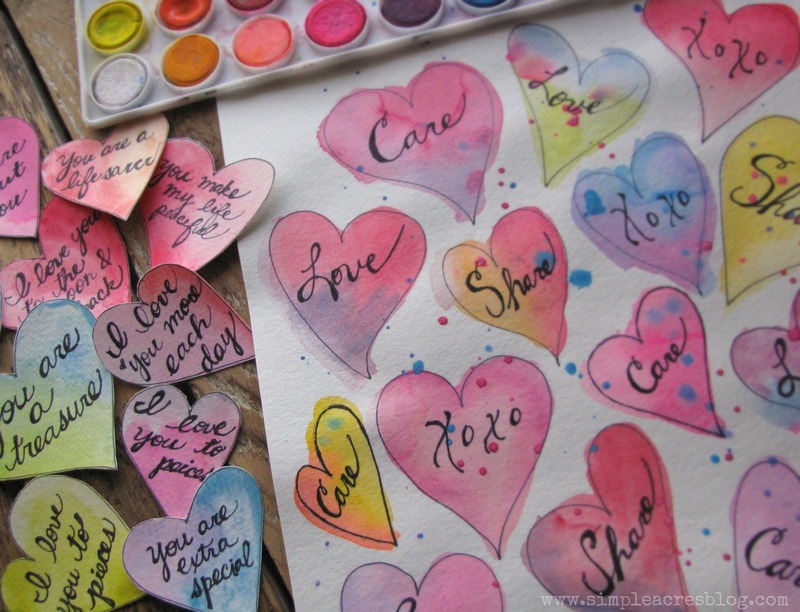 A few more fun Valentine ideas are from my friends at Arts and Crackers blog and Moms & Crafters blog! 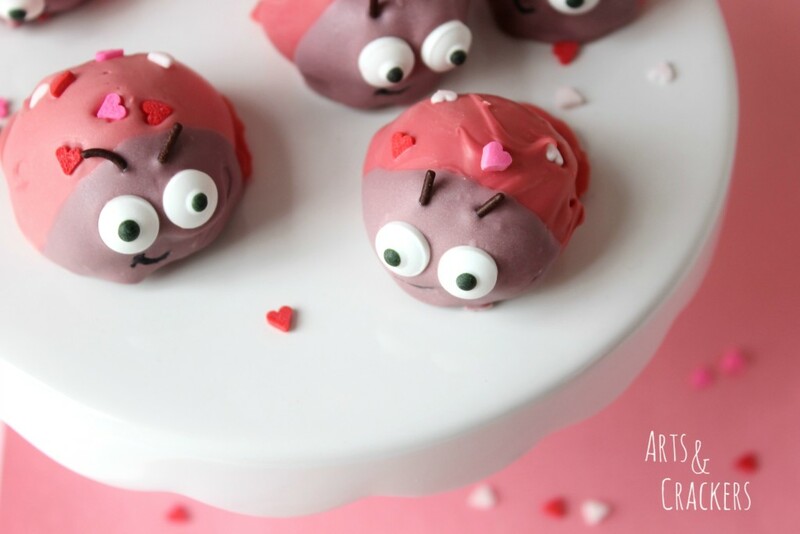 These Love Bug Cookie treats from Arts and Crackers would be perfect to make and gift in my bags. 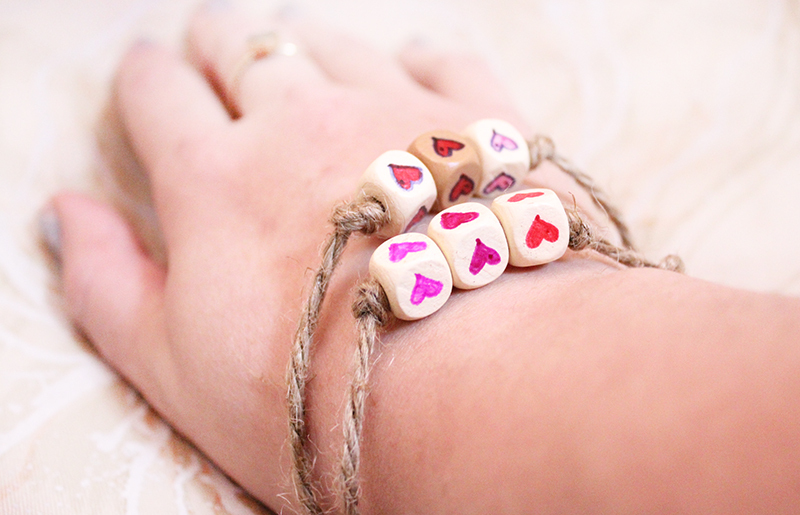 These Heart Friendship Bracelets from Moms and Crafters would make a perfect gift to add to me Homemade Valentines Card Bag as a gift! Sign up today to receive the very best tips and tricks for the simple life! 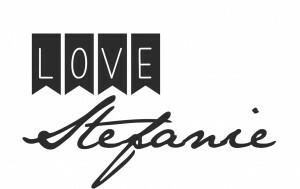 Join our email list today for exclusive subscriber content and the very best from Stefanie! Thank you so much for joining us! I think this a really cute and creative idea. Kids would love this. Thankyou so much I am excited to surprise my kiddos with them tmrw! 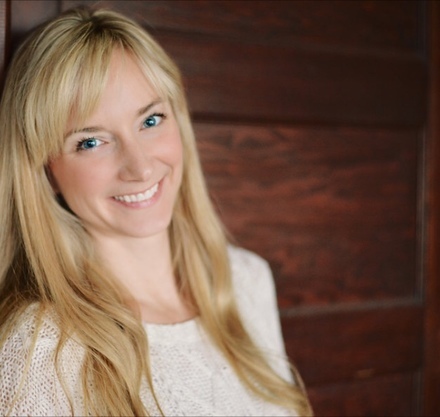 Get Stefanie's 10 best recipes, and never miss an update! Thank you! You are on our list! Happiness, health and success is yours NOW! 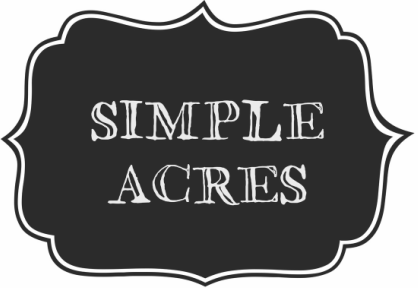 Inspiration in wellness and creativity to nourish your passion, purpose & venture in life is here for you at Simple Acres where simplicity is a way of life!